Location and how to reach there? 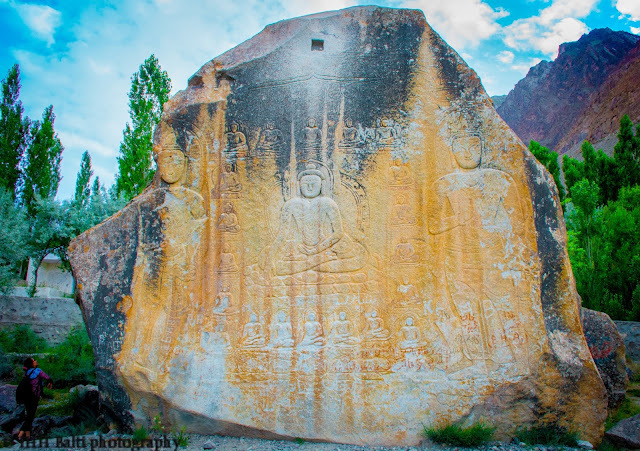 Manthal Budha Rock is located in the periphery of Skardu city just a half hour drive from the downtown. 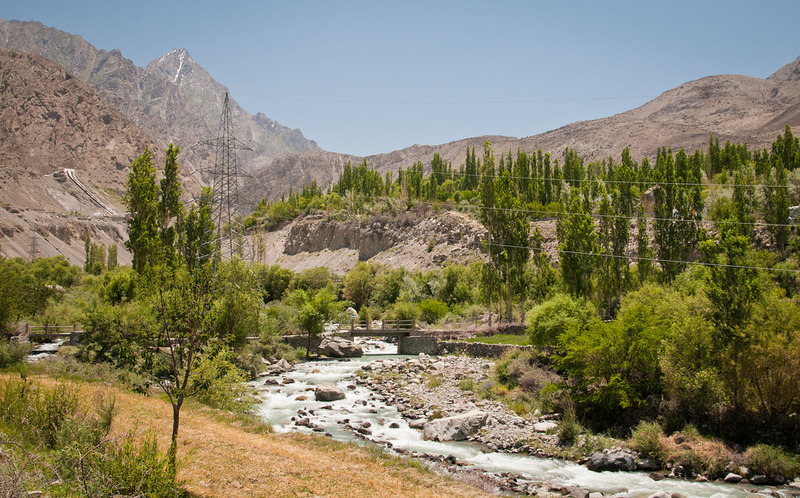 When you are in Skardu city a road leading to the Deosai or the Sadpara lake lead you to this monument. While going to Sadpara lake or Deosai plains this rock falls on the right side of the road just across a small stream known as Hargisa Nala originating from the Sadpara lake. The region of Baltistan which now has 100% Muslim population once was the epicenter of Buddhism and there was no existence of Muslims. Some historians opine that the Buddhist in the Hindukush region and Afghanistan had actually entered from the Baltistan region. Being the epicenter of Buddhism they had engraved the Buddha across the Gilgit-Baltistan on large rock pieces, mountains where they would find a flat surface and it seems that it was a way to preserve and preach the Buddhism at the time. But in the 14th century the Muslim preachers reached the region and converted the whole region to Islam, the glory of the Buddhism vanished but the rock carvings still exist there. How did this come to the limelight? An Interesting story! As the Buddhism disappeared the rock carvings immortalized in the stones still watches over the valleys, ravines, villages, and towns of Gilgit-Baltistan. It wasn't until early 20th century that this Buddha rock was not known to the world. In 1904 a British traveler reached Skardu while traveling from Tibet and visited the rock carving which she mentioned in her book "A Summer Ride Through Western Tibet". Though this feature brought the rock to international limelight but locally it wasn't known till the beginning of 21st century's first decade. You can see a hole at the left top of the rock that there is a square shaped hole. According to some historians, the hole was cut to hold the light or to hold the beam to carry a roof. According to some sources initially, there was a canopy to protect the carving from the wear and tear of the weather. The locals used this hole for throwing pebbles in fulfillment of myth, if they succeed in holding the pebble in the hole it would be a sign of good omen. Women would throw pebbles and if the pebble holds in the hole, it would be a sign that they would have a son and if they the pebble falls it would be a girl.